The Operatives follows Eco-Warrior Pete Bethune and his team of former-military conservationists as they take on missions to expose offenders who are harming vulnerable wildlife, natural resources, and ecosystems around the world. They dedicated their military careers to saving their countries. Now, they’re dedicating their lives to saving the planet. The team tackles several wildlife smuggling rings, rhino poachers, dynamite fishermen, cyanide fishermen, Turtle Poachers and more. 10 episodes of awesome Conservation Television. SKU: 109. Category: The Operatives. 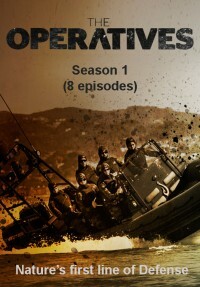 The Operatives follows Eco-Warrior Pete Bethune and his team of former-military conservationists as they take on missions to expose offenders who are harming vulnerable wildlife, natural resources, and ecosystems around the world. 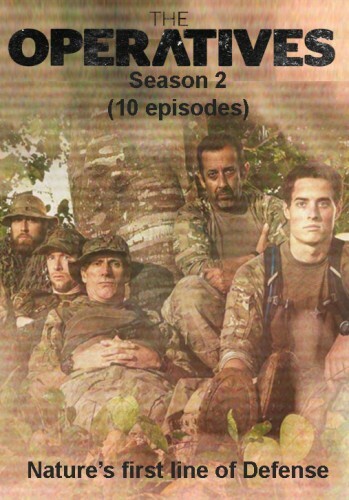 They dedicated their military careers to saving their countries. Now, they’re dedicating their lives to saving the planet. 10 episodes of Compelling Conservation television. Episodes are 46 minutes duration each and are sent in downloadable links to your email. To watch the Dolphin Rescue Mission for free click here.